THIS SATURDAY, Nov. 22nd there is a rally at Hollywood and Highland to overturn Prop 8. The rally starts at 2pm. Anyone who believes in equality and human dignity should be appalled that Prop. 8 passed. Here is a link to a great Keith Olbermann special commentary on the issue and I could not agree more with him. 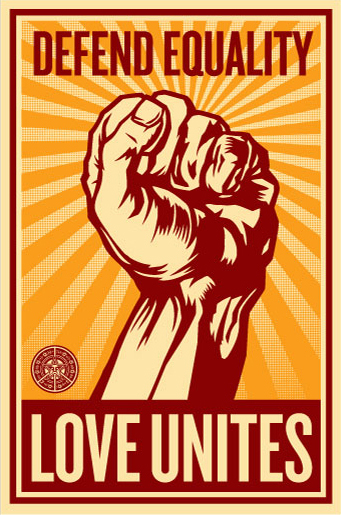 The Love Unites poster will go on Sale, Friday, 11/21 at a random time. 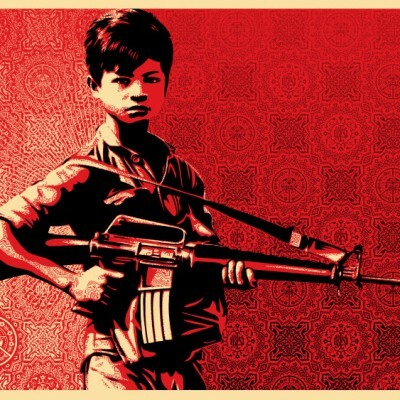 This print aims to raise awareness and funds for the movement to overturn Prop. 8. 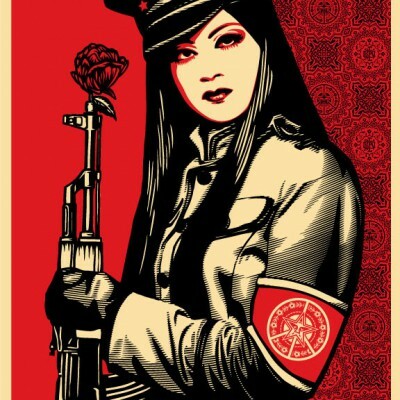 Any person suspected of EBAYing this print will be automatically banned from OBEYGIANT.com. No Exceptions. Print is 24×36, Edition of 450, and costs $50.